The battles of the oceans have come to a standstill and one has risen from the bottom of the darkest ocean. Kaung as called upon Remjie to give Wicked blue the first colour-way and no doubt Remjie’s signature colour palette suits Wicked Blue and easily identifiable! 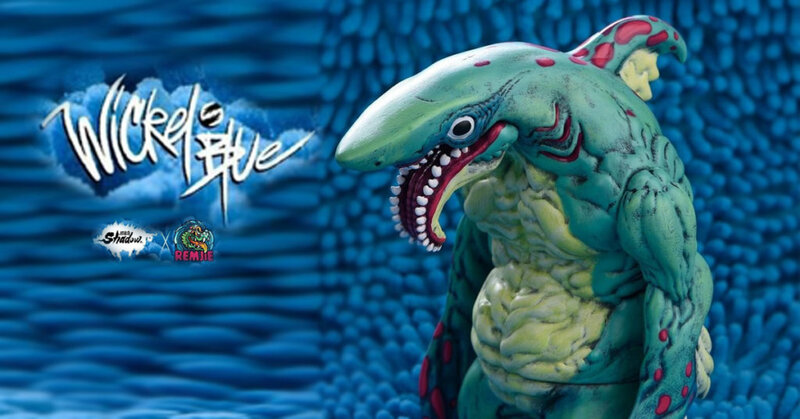 Meet “Wicked Blue” Kaiju Inspired by ancient sharks! Theres a surprise happening today! Stay tuned for the update.